When you navigate to Google Street View Treks and scroll down the page, you are presented with some spectacular photos of the places you can ‘visit’. When you select a destination you can read the information about it, as well as interact with Street View and maps. You can then select ‘Explore in Views’ to further investigate this wonderful places. Once in Views, there are many different aspects of the location you can explore. Once you select a view you get an incredible close up that you can interactively explore, thanks to the Street View technology. What an amazing way to expose and immerse your students in some of the wonders of the world, right from your classroom. 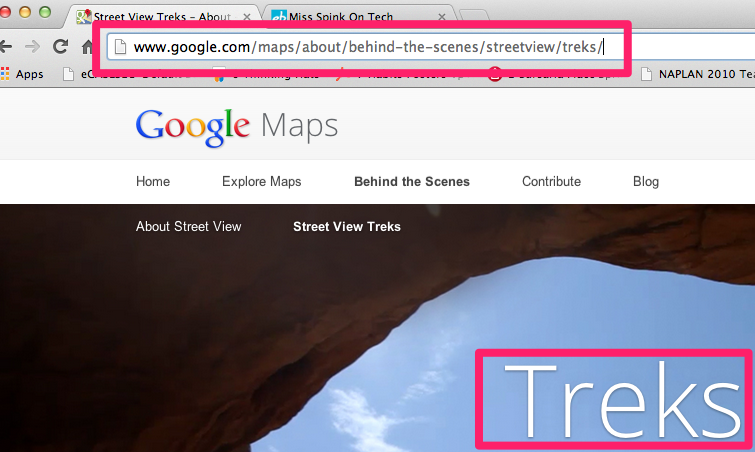 There are so many possibilities for using Google Street View Treks in the classroom that span across multiple curriculum areas. I have created a Padlet to collect some interesting and engaging ways of using Treks in the classroom, please add your ideas! (To edit the Padlet, just double click and type in your response). ← Death by Anchor Chart!